I am interrupting my series on Taiwan to share, briefly, the nice dayhike I did today of Pico de Loro with hiking friends Sir Martin Cortez and Ms. Agot Isidro, which is, as far as I can recall, my fifth climb up this beautiful mountain. 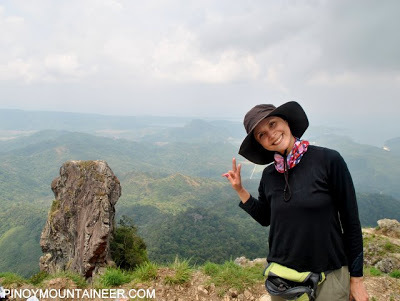 The first one, in 2006, was an overnight climb with UP Remontados, my old hiking club in UP Manila; the second was with the UP Med Outdoor Society in 2007. The third was a traverse to Nasugbu with friends, and the last one was an episode in Born to Be Wild. Because of some road confusion, it was already around 0900H when we arrived at the DENR, and we started trekking at 0915H. Since we arrived late, we were determined to cut back our losses so we climbed continuously, only making very brief stops, and by 1045H, we were at the summit, after just 90 minutes, and it took an hour to get back. Rope update: I’m sure people are interested to know the status of the rope up the Parrot’s Beak (also known as ‘Torre’, ‘Tuka’, ‘2nd peak’, among others). So I went up the beak to see for myself. There is still a rope in place, but it is worn out, and the length is already inadequate, supplemented only with a very thin rope that is not enough. I didn’t reply on the rope to go up, and instead scrambled up and down. 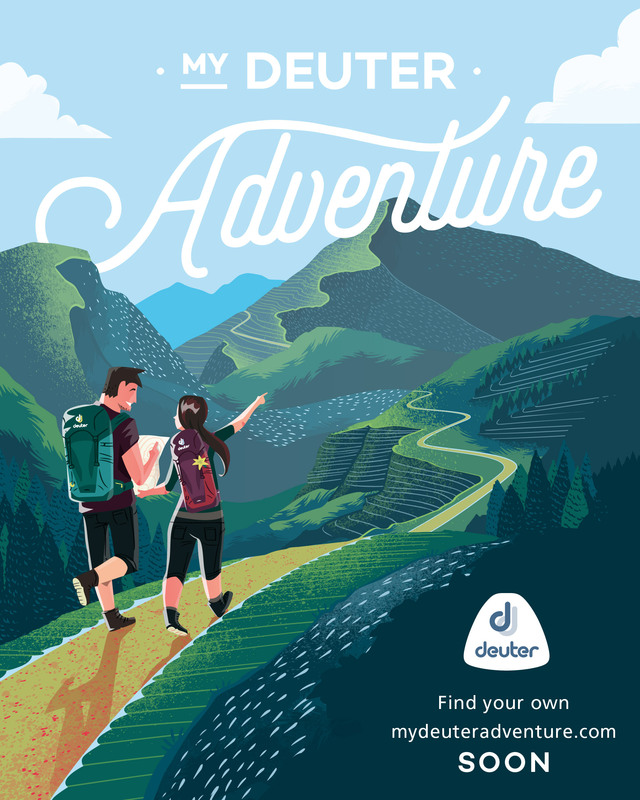 My recommendation is for hikers to take extreme caution when going up, and install ad-hoc ropes whenever possible. We had lunch in Tagaytay after the climb, at Hawaiian BBQ, and it was truly a fun dayhike! Many thanks to Agot and Martin! 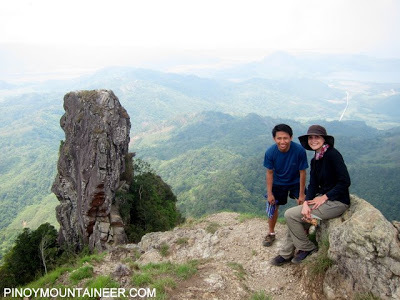 9 Comments on "Hiking matters #179: A day hike up Pico de Loro in Ternate, Cavite"
Hi. My group and I are planning to climb pico this friday and we are worried about the weather. Will it be difficult to climb this mountain when raining? Especially because we have beginners with us. 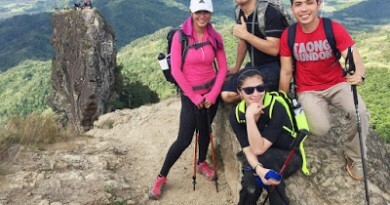 mga Sir/Mam mountaineers, newbie po ako sa trekking/hiking. 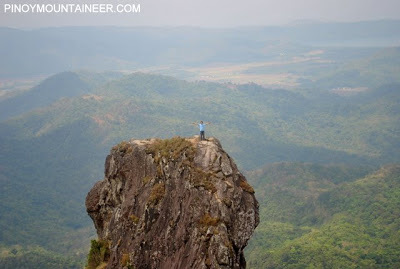 I plan to climb Pico de Loro alone this Black Saturday, Apr 7, coz they say it is an easy trail. marami po ba aakyat sa pico pag holy weekend na makakasabay? any security concerns for lone hiker? thanks po sa mga sasagot. 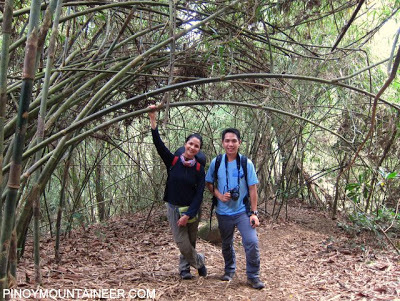 is it safe to climb maculot alone? wow! if only I know na ikaw yung naka-salubong namin sa climb pa Pico de loro. sana nagpa-picture na ako 'non! sayang yung oppurtunity.